There are many concerns about how we can prevent global warming. In every industry, whether it be transportation, agriculture, or the construction industry, there are questions about how to prevent global warming. By building better designed, more energy-efficient, and natural homes, global warming will become less of a threat. One of the most basic necessities lacking in conventional homes is sufficient insulation. Proper insulation will greatly reduce the need for constant home heating and cooling (and in turn, fossil fuels), as insulation will help maintain the temperature of a space. Straw bales stand out for their excellent insulative value, and for the fact that they are a totally natural and biodegradable material with minimal embodied energy. 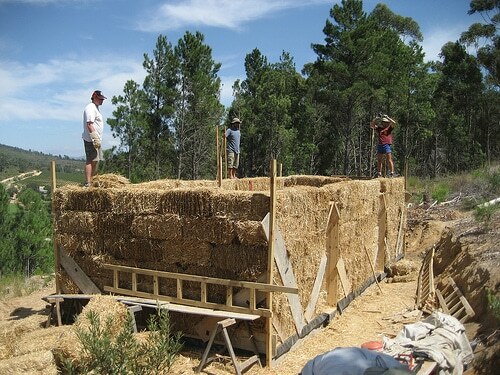 Within the realm of natural building, many individuals choose straw bale house construction for these reasons. 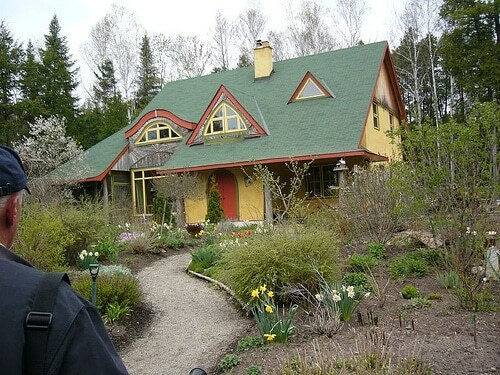 You can help stop global warming by living in a well-insulated straw bale home. Straw bales typically provide at least three times better insulation than the average “R-19” wood studwall system. That means less money and energy spent on heating and cooling a living space. You will stay comfortable longer and experience less fluctuation in indoor temperatures living in a highly insulated straw bale home. Straw bales are not only highly insulative, but they are totally natural, too, unlike typical “pink foam” insulation, which can emit toxic fumes. Straw is a renewable agricultural resource — it is simply the leftover stems from harvested grain, and it’s available in huge quantities. Not only that, but properly protected straw bale walls can last an extremely long time — there are some century-old straw bale homes in Nebraska. 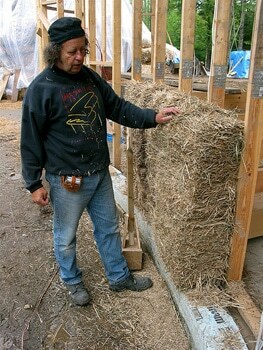 Ultimately, straw bale building provides an appealing way how to prevent global warming. Straw is a nontoxic, renewable resource with low embodied energy, and they are truly effective for home insulation, as has been proven through decades of building design.